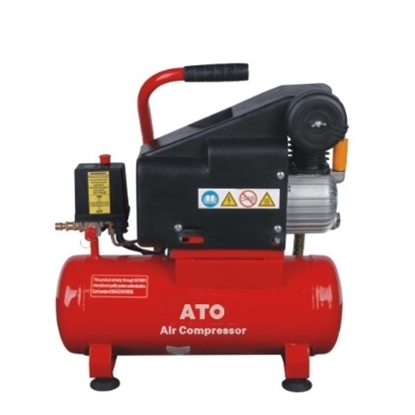 High quality belt driven air compressor has double or triple cylinder pump versions that powered by a single phase 5.5 hp (4 kW) electric motor, 8 bar 115 PSI maximum pressure, is Ideal for powering all commonly used air tools and spray equipment. 2 Gal. 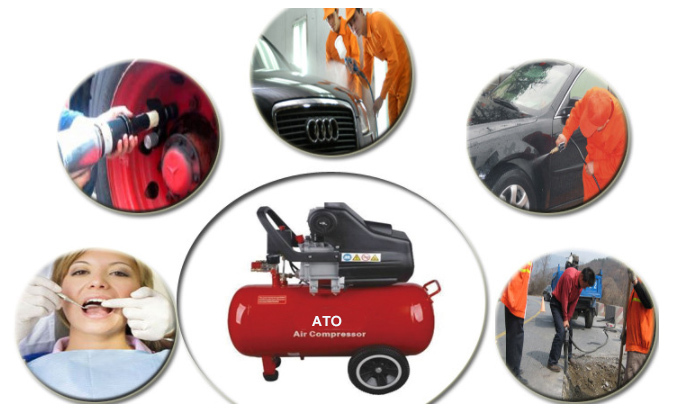 tank capacity portable air compressor offers 8 Bar 115 PSI maximum pressure and air delivery 108L/Min, 3.8 CFM. 1 hp (0.75 kW) direct drive induction motor with thermal overload protection, professional grade, quiet air compressor for long life. 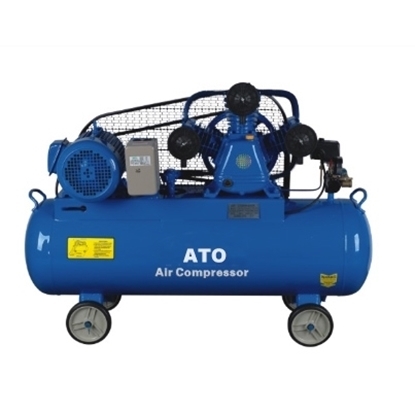 You could choose different type of 5.5 hp belt driven air compressor pump with different capacity of air tank. 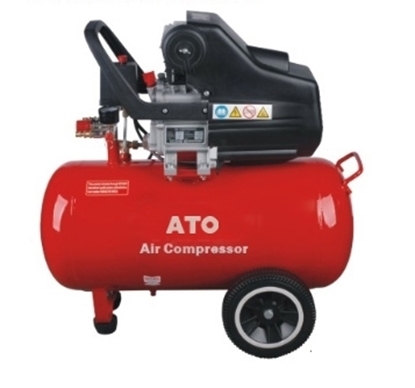 Whether it is a piston air compressor or a screw air compressor, it must be cooled during use. The traditional cooling methods mainly include air cooling and water cooling. 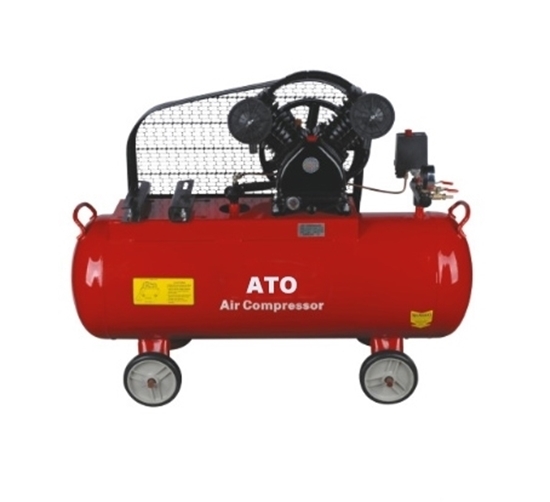 Generally, according to discharge capacity, medium and small size air compressors basically use air cooling while large, medium size air compressors mostly water cooling. In the process of use, how to select the cooling mode of the air compressor also needs to be based on the ambient temperature, humidity and water resources. At present, the cooling hot air of an air-cooled compressor is discharged to the outside using an axial flow fan tube. The cooling system of a water-cooled compressor is pumped through a water-cooled system. The cooling hot water discharged from the compressor is used in the operation of the compressor through the pump valve. With air cooling and water cooling methods, the heat energy generated during the operation of the compressor will be dissipated in the air and will be in a state of energy consumption during the cooling process.